Original owners offer this gorgeous stone & cedar Barrington Hills home. 10 ft ceilings, 8 ft doors & newly refinished hardwood floors throughout the house. Gourmet kitchen with custom cabinets, high end SS appliances & wet bar/butler's pantry. Sunroom, 2-story family room, library with box beam ceilings & formal dining room. Two laundry rooms (one on second floor) & deluxe mud room. First floor guest bedroom suite & master bedroom with its own sitting room; wrap around deck at main level with entry from master bedroom, kitchen and family room. 3 additional oversized bedroom suites on the second floor featuring walk in closets & private baths! Huge additional loft style family room on second level, vaulted ceilings & skylights! Walkout basement also includes 10 foot ceilings, full kitchen, recreation area, wine cellar, wet bar & home theater. 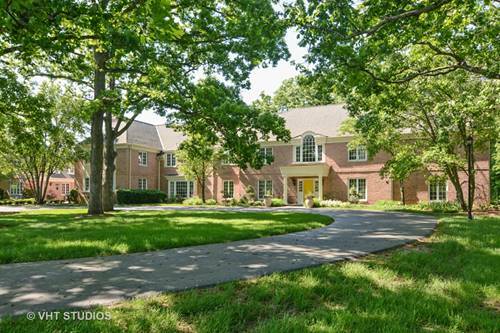 4-car heated garage; 5 total fireplaces throughout every level. Whole house is 2x6 construction, 3/4 inch drywall-built to highest standard! 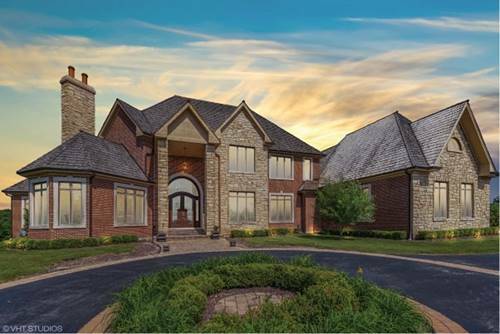 For more information about 8 Jennifer, Barrington Hills, IL 60010 contact Urban Real Estate.